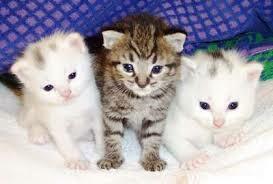 You are a cat lover but just being in the same room with them causes coughing, sneezing, itchy eyes and wheezing! Consider adopting a hypo allergenic cat. Hypoallergenic cats are those that typically produce fewer allergens than “regular” cats. They key word here is “fewer.” There is no cat that produces no allergens at all. So a light colored female cat may be better for people with allergies than a darker colored cat. I’m living proof of this. I have two cats as you all know by now. Molly is my older black cat. Every time I touch Molly then touch my eyes, I start sneezing and my eyes get swollen, red and burn . I have to wash my hands after touching her. My lighter colored cat, Mille, doesn’t affect me at all. I could pet her and even put my nose up against her fur and absolutely nothing happens. 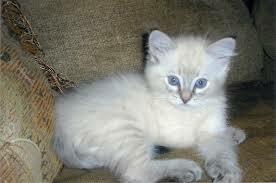 So consider a lighter colored female cat. Balinese: Often referred to as the “long-haired Siamese,” the Balinese looks like an unlikely candidate for a hypoallergenic cat. But it is one of the few breeds that produces less of the Fel D1 protein than other cats, thus causing fewer allergic reactions in allergy sufferers. Oriental Shorthair: They’re hypoallergenic, but it’s still a good practice to groom your cat frequently (brushing as well as wiping her down) to keep dander to a minimum. Javanese: Like the Balinese, the Javanese sports a medium-long single coat that doesn’t mat. Because of the lack of undercoat, they have less fur which translates into fewer allergens. 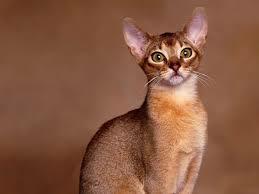 Devon Rex: Of the two, the Devon has both shorter fur and less fur. Your Devon Rex will need to have her paw pads and ears cleaned of oil build-up frequently, but doesn’t need frequent full baths like the Sphynx or Cornish Rex. Cornish Rex: The Cornish Rex requires more upkeep than the Devon because they require frequent baths to mitigate the oil buildup on their skin. Sphynx: The hairless Sphynx is the cat most often associated with being hypoallergenic. Being hairless does not mean they’re maintenance-free, however. Your Sphynx will need frequent baths to remove the gummy buildup of oils on her skin, and her large ears will also require frequent cleanings. Siberian: Like the Balinese, the Siberian sports a moderately long coat, but still is hypoallergenic due to the lower-than-average enzyme levels in their saliva. Some claim that 75 percent of cat allergy sufferers have no reaction to the Siberian. Holiday Favorites are playing on THE EDGEWATER INTERNET RADIO NETWORK! This entry was posted on Thursday, December 4th, 2014 at 8:10 pm	and is filed under Pet Supplies. You can follow any responses to this entry through the RSS 2.0 feed. Both comments and pings are currently closed.